Keep your ophthalmic knowledge current with the Academy's 2016-2017 Basic and Clinical Science Course (BCSC). 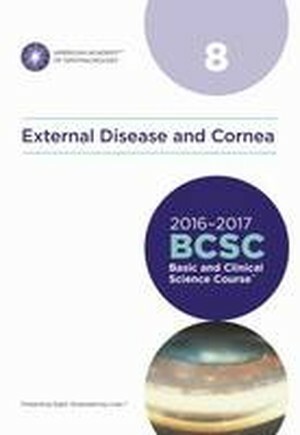 BCSC is the most extensive compilation of ophthalmic scientific research and clinical experience, and it is continually updated by a faculty of more than 80 expert ophthalmologists. Section 8 covers a range of topics, including ocular surface disorders and their treatment. Infectious diseases and immune-mediated disorders of the external eye and corneal dystrophies are also covered.